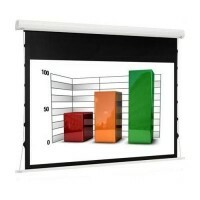 Euroscreen Tensioned Diplomat electric projection screen .Viewing Area 190cm x 142.5cm (4:3) 93" diagonal. 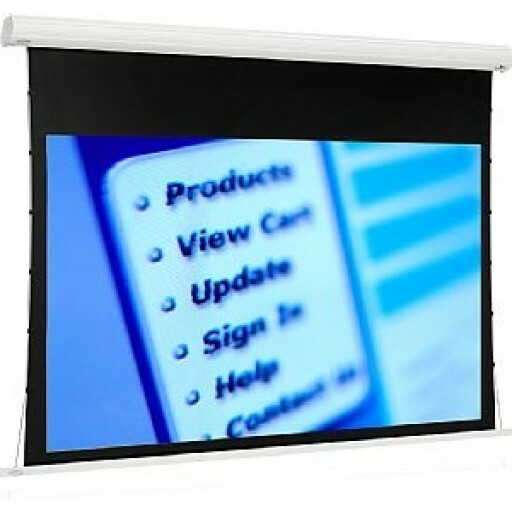 Flex White front projection surface with black side borders in hour glass shape 5cm black border below viewing area 30cm black border above the viewing area. White aluminium extruded case channel fix. Complete with 5m of four-core cable one end unterminated the other with EasyLock connection to push in and lock onto case.Mounting brackets included. 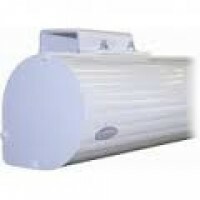 Optional Infra Red Kit - Radio Frequency Kit - Autolink Projector Trigger all with EasyLock connections available.NOTE if to be controlled with a wall switch please use the SOMFY-SWITCH as no switch is included.